Using one simple strategy, I’d bet that we can make 2018 a record year for your investment income. Now, I realize that’s a bold claim . . . But I’m willing to pull out all the stops and show you everything tomorrow (just click here to say YES – it’s FREE). Most folks know that the Dow Jones Industrial Average (DJIA) is a popular index of 30 large blue-chip stocks. 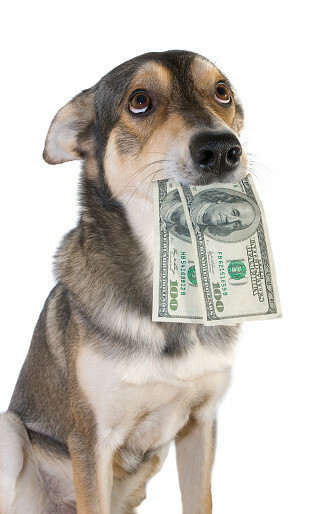 And the Dogs of the Dow describes the 10 highest-yielding stocks in the DJIA. Trading this strategy is simple. On the first day of every year, simply BUY the 10 Dogs of the Dow stocks. Hold them for the entire year. And sell the positons on the final trading day of the calendar year. You’ll notice that since year 2000, the Dogs of the Dow returned an average annualized gain of 8.6%. That may not SEEM that great . . . But it’s a 24.6% improvement from the 6.9% from the DJIA. Think about that: by purchasing just 10 stocks – instead of 30 – you can dramatically boost your returns. This year, Andy Crowder decided to take this Dogs of the Dow strategy to the next level. Simply put, he decided to use one simple income trading strategy to dramatically increase the income. This stock picking strategy involves making low-risk trades on these 10 Dogs of the Dow stocks, every 45 days (on average). With a couple weeks before the end of 2017, Andy’s trades are delivering huge gains. The average gain for Andy’s 10 Dogs of the Dow trades now stands at 54.3%! Normally, it’s impossible to earn huge income from big, stable blue-chip stocks. Because we’re talking about companies like Verizon (NYSE: VZ), Pfizer (NYSE: PFE), and Exxon (NYSE: XOM). Gains on individual stocks were as high as 173% on Boeing (NYSE: BA) and 119.5% on Caterpillar (NYSE: CAT). It all starts on Jan. 2 with the 10 Dogs of the Dow stocks. We won’t know the list until 2017 comes to a close. Starting on the first trading day of the year, Andy’s going to start making simple income trades on EACH of these 10 stocks. Every 45 days or so, he’ll make another simple trade (each takes less than three minutes). The simplicity of this stock picking strategy makes it easy for anyone to get started. And these initial results are extremely positive. Tomorrow at 12 pm ET / 9 am PT Andy’s going to walk you through this strategy. In fact, Andy’s promised to REVEAL EVERYTHING. Let’s get you 100% up to speed on this, BEFORE the New Year. Because frankly, if you wait until Jan. 3 you’ll miss out on the very first trades. Just go here now to join Andy in tomorrow’s LIVE webinar. He’s promised that he won’t hold anything back.